The Greenbrier will welcome the 17th Grand Final of The Faldo Series Oct. 22 to 24. All tolled, 101 golfers will, including Sir Nick Faldo will participate in the World Amateur Golf Ranking event. 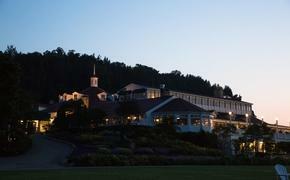 The White Sulphur Springs, W. Va.-based resort is the first American golf club to host a Grand Final of the Faldo Series. The 2012 champion, 17-year-old Jack Singh-Brar, is aspiring to become the fourth person to successfully defend a Faldo Series title. He won the Berkhamsted Trophy this year and made the cut on his European tour debut at the Russian Masters.